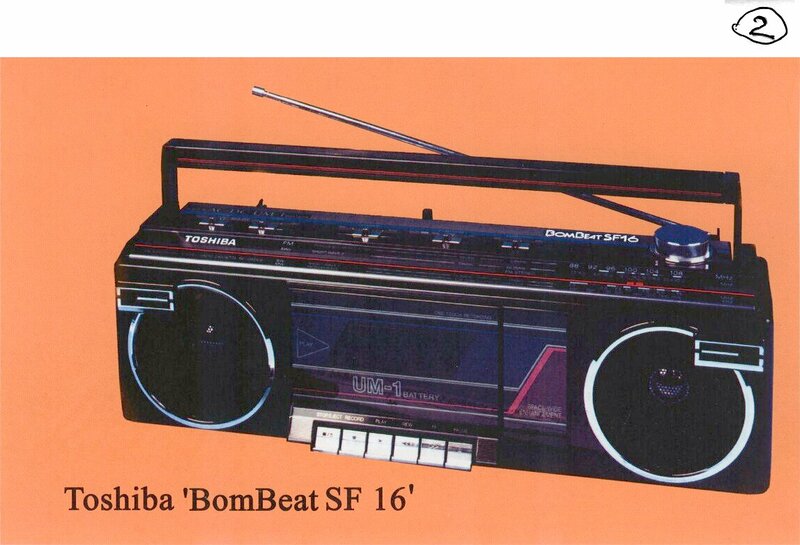 We have located a Toshiba RT-SF16 radio cassette and would be prepared to purchase two other units for the prices indicated below. 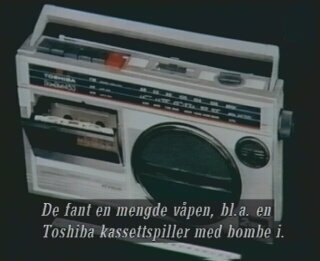 We are now seeking one or more units of the Toshiba "BOMBEAT" 453 radio cassette as pictured below. See price list below. 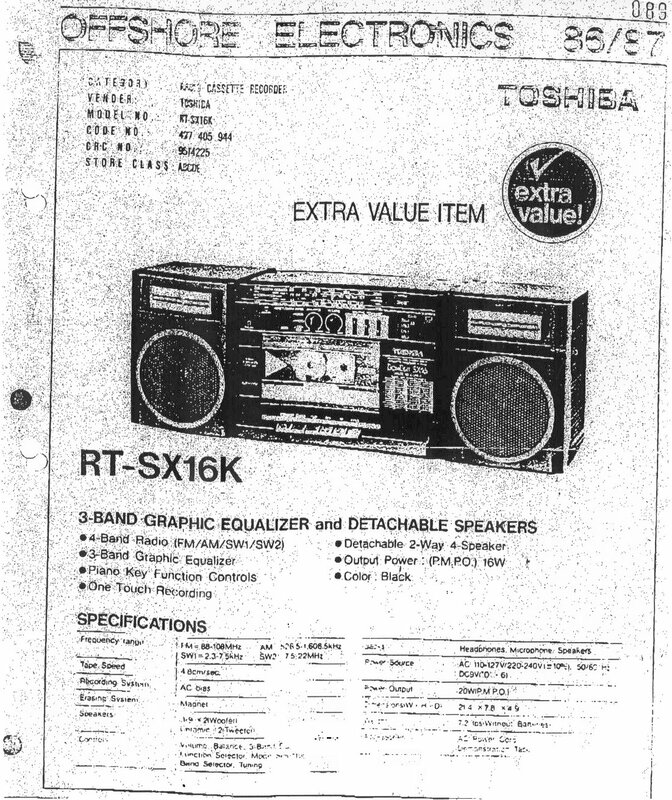 Consideration will be given to purchasing Toshiba RT-SX16K models, with 3-band graphic equalizer and detachable speakers. This radio operates on a U.S. power source. Double click the image to enlarge to full size. $500.00 A working model in good condition, together with the original box and operating manual. $250.00 A fully working model. $100.00 A complete model which could be repaired by the manufacturer. $50.00 A model which cannot be repaired but is otherwise complete. THIS OFFER ENDS ON MARCH 31, 2006.